Tartan in your home decor - can it ever be good? Okay, I might have stated when I started this blog that Scottish Home Style is not about the tartan. And that's still true. But we don't hate it when it's done well. A tasteful restraint is needed to suppress the feeling you are living in a shortbread tin, and we can manage that by keeping it to one or two bits and pieces around the house, like cushion covers and so on. Without further ado, bringing you a bit of Scotland's most famous woven pattern! Not only are these coasters in tartan, they are also made from another very Scottish material -- Harris Tweed! 5" square (about 10 cms x 10 cms) they'll stop those cups of tea from staining the furniture and look stylish as well. Check out her shop for other clan patterns if you're looking for a different colour combo. Buy these Handmade tartan coasters now on Etsy. 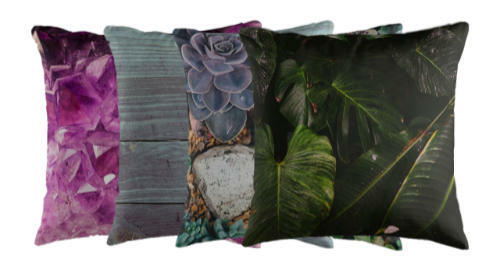 The maker of these fine cushions is based in the Scottish countryside. 18" square (or about 45 cm x 45 cm) these beauties come in three different colours of tartan and have a cunningly fashioned invisible zip *kisses fingers. 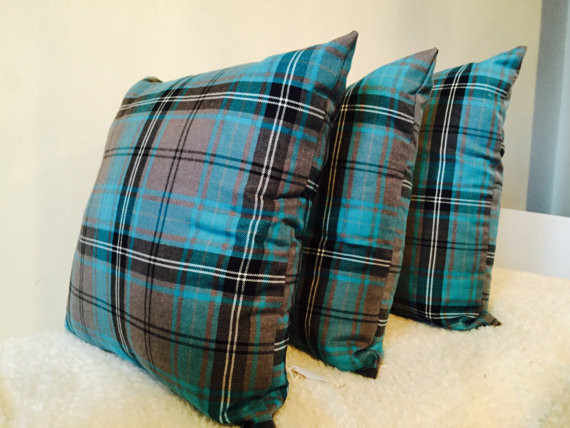 Buy Tartan Cushions on Etsy now! This item is so cute I can't resist including it. 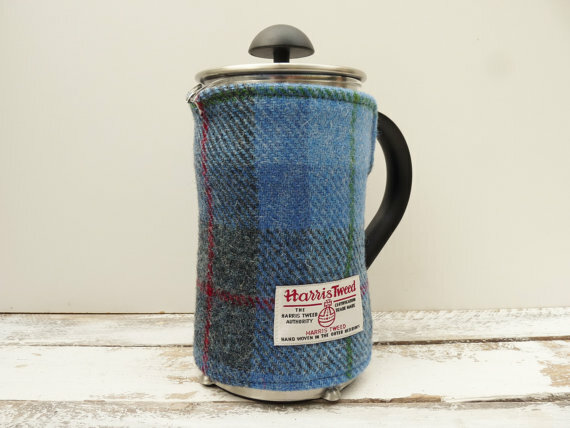 Keeping your cafetiere warm has never been so sweet, or so Scottish. 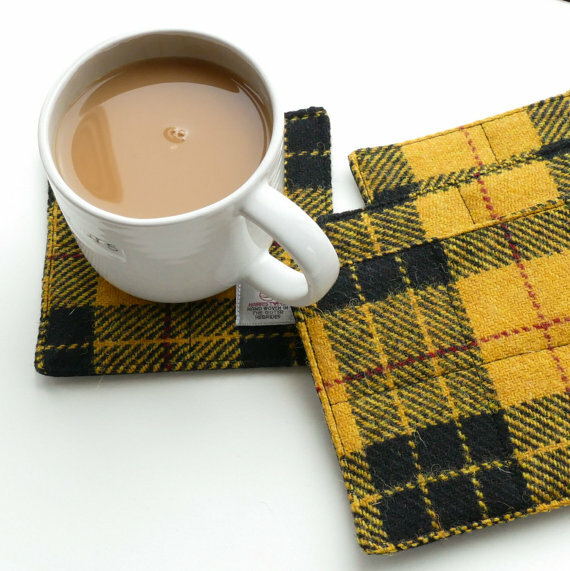 A wee tartan blanket for your morning brew! Another Harris Tweed classy piece. Buy the coffee pot cosy on Etsy now! Now remember, less is more!